Wooden pallets are used in nearly every type of shipping, especially in the agricultural industry. Whether the goods are delivered by plane, truck, boat or train, they are usually stacked on top of pallets to help make them easier to move. As a result, many of the pallets experience wear and tear throughout the process. They can break, become damaged, or just become unsuitable for ongoing use. Fortunately, wood pallets are recyclable and repairable. When they get damaged, pallets can be repaired and used again. If they are no longer useful, they can be recycled. The longer wood pallets stay in use, the better it is for the environment. Repairing or recycling your used or broken pallets is the answer to saving money and going green. What exactly are the benefits of repairing wood pallets? The few advantages discussed below will provide the information you need to see why repairing wood benefits can be a beneficial and a smart choice for your agricultural business. The cost of continually purchasing new pallets can add up quickly. As a result, the larger number of new wood pallets you need to purchase, the more costly it can become for the company. Recycling and repairing wood pallets will prove to be much cheaper and will allow your agricultural business to continue to use the same pallets you originally purchased. Repairing and reusing your wood pallets will help the environment in a major way. Some businesses may choose just to discard some of the used and broken pallets, creating quite a bit of waste that goes into landfills. Deciding to repair and recycle the broken wood pallets is eco-friendly because these pallets will be useful again. Reusing the pallets or repairing them helps save trees used to gather the material for the pallets, saves energy from producing the pallets, and helps keep the landfills empty of recyclable material. This is a winning combination for companies that want the advantages of protecting the environment and promoting themselves as “green” businesses. If a pallet is damaged or is broken, it can potentially prove to be a safety hazard to anyone working around the pallet. There is also the possibility of the load on the pallet falling or tipping over due to a broken board. Plus, there is the chance of product damage due to a piece of wood sticking out from the pallet. 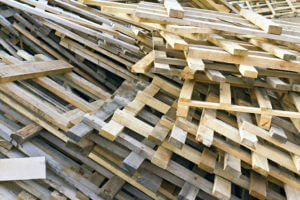 Purchasing the proper grade of reused pallet will help determine its condition. 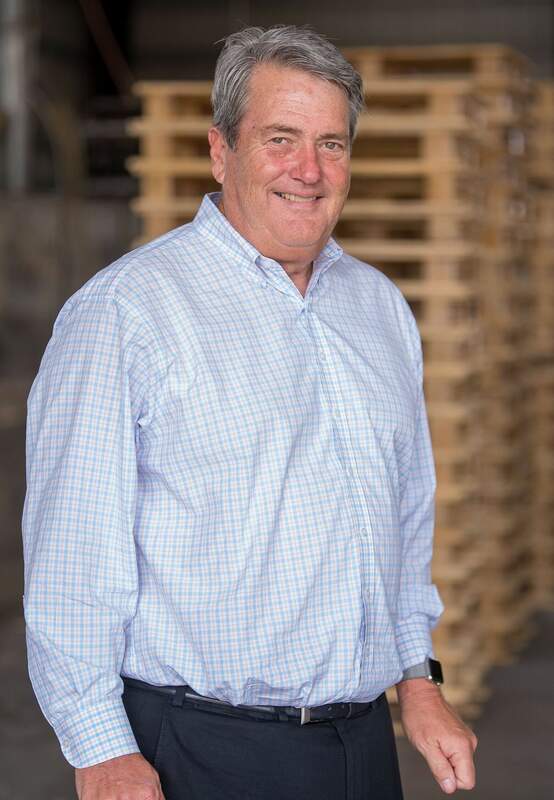 A-grade pallets are supply-chain ready. Keep in mind, export pallets can be repaired, but must meet the standards laid out by the ISPM 15 Requirements. The governing body for HT certification in the U.S. is the American Lumber Standards Committee (ALSC). They have implemented a strict interpretation of the ISPM 15 code in the United States. The ALSC rules stipulate that “pass through pallets” (i.e. pallets requiring no repair) do not require removal of marks or re-treatment. But, the ALSC requires that if a pallet is repaired or remanufactured with compliant boards, the entire pallet must be re-treated and marked as well as the old marks removed. For more on ISPM-15 Compliance go here. Recycling vs. Repairing: What’s the Difference? If you choose to reuse your wood pallets and send them to a company to be worked on, the terms repaired and recycled are often used. So what’s the difference? If your pallets are going to be repaired, it means that they have experienced some damage, but they can be fixed and will be issued back to you for use once again. If for any reason the pallet is broken or damaged beyond repair, and it cannot be fixed to being functional for that purpose, the term recycled is used. If your wood pallets need to be recycled, the pallets will be completely broken apart, and the wood will then be “up-cycled”. Once processed, the wood can be used to make a variety of wood by-products including wood chips, particle board, mulch, animal bedding, or other wood-based products to keep the wood in circulation. Agricultural businesses are typically focused on saving money and providing the highest level of services to their valued customers. Many agricultural companies have also learned the benefit of letting customers know they are environmentally conscious. Repairing and recycling pallets is a viable way to cut costs and go green. If the pallets can’t be repaired, the wood will be recycled and used for other wood-based products to minimize waste and help prevent our landfills from overflowing.